By Emily Evans-Miller In honor of National Suicide Prevention month, we’re featuring Spared by Shaun Deane. 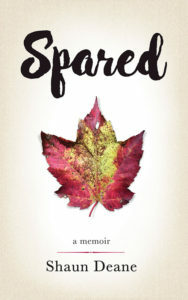 Spared is Deane’s memoir about the tragic events of his early adulthood, which includes coping with suicides that touched close to home. Spared is his way of facing his past head-on, uncovering new truths to better understand himself in order to overcome and survive tragedy. We asked him about the writing process, dealing with grief, and capturing one of the most difficult periods of his life in language. What were your motivations in writing Spared? Books surrounded me growing up. My father was an English professor, so the house was full of stories and the encouragement to read. As a teenager, on weekend nights before heading off to a dance, movie, or concert, my friends would gather in someone’s basement or attic in preparation for the evening, and the conversation would center invariably around stories and books. I always felt I would tell a story someday. It seemed inevitable. I just didn’t know it would be this one. What did you find challenging about the process of writing a memoir? What came naturally? I have a very accurate memory for events and the personalities involved in them. Spared was always grounded in some of the pivotal and emotionally charged events I had reviewed and rehashed hundreds of times while walking my dog or driving–during those times where it is possible to be doing a task while your mind is in an entirely different space. The articulation of these scenes was easy for me, but what I struggled with for a long time was the umbrella that sat over the entire journey. I believe this is often referred to as the “arc” of the story, which feels right to me. Of course, the specific events have some shock value, but other than that, how did you like the play, Mrs. Lincoln? Once they were presented, I still had a few hundred blank pages to fill. The book is grounded in your hometown in Massachusetts. How did your connection to this place change how you shared your story? You have had to overcome a lot in facing your grief. Was the writing process therapeutic? The writing process was cathartic. I imagined that this would be true, but there were unexpected outcomes, too. At a very basic level, it felt like a mini-exorcism. Finally! There were many unanticipated responses and reactions throughout the journey and afterwards, when I had truly finished writing, I was surprised to feel how much had been stirred up again… and in new ways. It’s true that events like these weld themselves to your consciousness and it becomes impossible not to have them present in some way, every single day. This felt like an enormous burden initially and then came acceptance and making peace with it all (if one is lucky, and I have been so). The writing of this story offered new levels of understanding and, of course, one has to welcome that in. Were the writing and publishing experiences rewarding? The writing experience was fantastic. I have always wondered about the process, and I even viewed some writer’s reports with skepticism. I had read of unexpected character developments, or right turns in a plot trajectory, emerging when least expected. Yet, I experienced these things and it was thrilling. 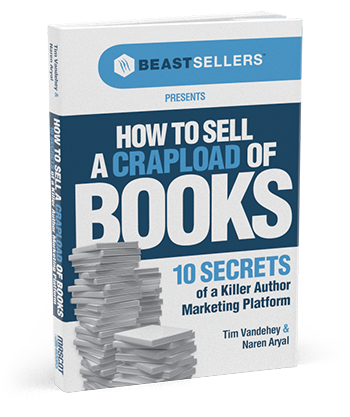 What really helped get the book out was the wise counsel of another writer friend who described that he only writes three times weekly with a day off in between each session. He takes every weekend and every sixth week off entirely. As soon as I heard his description, something clicked. I think it reminded me of the kind of marathon training I had done for years, which included more rest than most and measurable benefits. And let’s face it: writing a book is like running a marathon. Once I hit on this approach, the book really flew out of me. I had the first draft done in six months. The publishing part was more of a grind. It took much longer to accomplish than the actual writing, but as soon as I saw the first printed copy, it was easy to embrace all the detailed work to get it just right. What was it like transitioning into writing full-time? I never did transition to full-time writing, since I already had a full-time job and a mortgage to cover, but really, squeezing the writing in to an already-established lifestyle helped to create some of my fondest memories of the entire experience. I live in the Northeast in snow country and started writing after Labor Day, as the light began to dwindle. For that entire winter, I would get up very early three days a week and get my writing in, before my corporate job began. I’d be up a little before 5 A.M. to stoke the woodstove while some coffee brewed and then I’d sit down to try and get my “budget” of 400 words for that session. It was a sweet, quiet, and richly rewarding time in my life, as I began to see the word count accumulate. What do you hope readers will bring to this book? What do you hope they’ll walk away with? My hope has always been that people—and now readers—will hear the details with open minds and hearts. I had no reason to expect anything other than this, but when you are at the center of the storm, it’s hard to see things clearly sometimes. I hope readers will be inspired to consider that every person we encounter, every day, has a story inside that is unlikely to be apparent. Somehow, I knew when these events occurred that I was ahead of the curve chronologically and that ultimately, for all of us, life happens. If Spared moves the needle for anyone toward acceptance and compassion—and I include myself in that statement each and every day–of course, that would be a huge payoff. 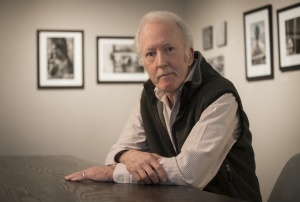 Shaun Deane was born in Boston, Massachusetts. He is a graduate of Brandeis University and earned a master’s degree from the University of San Francisco in educational technology. He has worked as a dishwasher, meat-market delivery and taxicab driver, public and private school teacher, production editor, and product manager. He was Apple Computer’s first-ever video evangelist. He has been a member of the Executive Management teams at two Bay-area startups and was President and Founder of American Sports Events. Deane jumpstarted Spared at the Colgate Writers’ Conference in 2009, and nine years later, it has become his first published book. He lives with his wife Patricia and their lowrider Riley in Brattleboro, Vermont. His son Travis is a Navy diver, and his daughter Gretchen is an equestrian. The National Suicide Prevention Lifeline: 1-800-273-8255 Crisis Text Line: Text HOME to 741741. For crisis support in Spanish, call 1-888-628-9454. TrevorLifeline, a suicide prevention counseling service for the LGBTQ community: 1-866-488-7386.